In this exclusive audio interview Emmy Winner Charlotte Robinson host of OUTTAKE VOICES™ talks with Pothik Chatterjee who has organized an important panel entitled “LGBT Rights in India: The Way Forward” that takes place at Harvard University on Sunday February 16th from 4:10P to 5:10P. The panel will be addressing the recent re-criminalization of homosexuality by the Supreme Court of India with Section 377. The panel will focus on how this anti gay law will affect the lives of our LGBT community in India and how to channel this setback into productive policy and effective strategy. It’s all part of the Harvard India Conference 2014: ‘Turning the Page: Prospects & Paradoxes” that takes place February 15th and 16th. We talked to Pothik about “LGBT Rights in India: The Way Forward” and his spin on our LGBT issues. 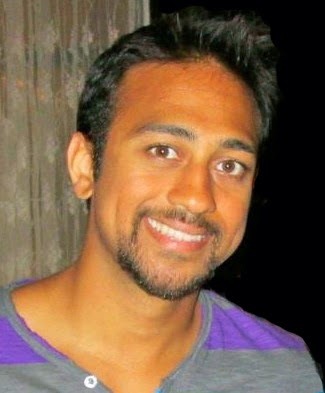 Pothik Chatterjee is currently finishing his MBA at Harvard Business School and will graduate in May 2014. Speakers for the “LGBT Rights in India: The Way Forward” panel will include Ashok Row Kavi, Mesma Belsare, Apphia Kumar, Amit Dixit, Ramakrishnan Kazhiyur-Mannar, Siddharth Narrain and Jonathan Ripley at the Harvard Kennedy School Sunday February 16th from 4:10 to 5:10P.